Nowhere does modern life blend so effortlessly into ancient atmospheres than in Italy, Tuscany in particular. You’ll find no end of examples, many of them in Tablet’s selection of ancient-meets-modern boutique hotels — though if you’re still unclear on the concept, Villa Armena, twenty minutes’ drive outside of Siena, is as clear an illustration as you could ask for. 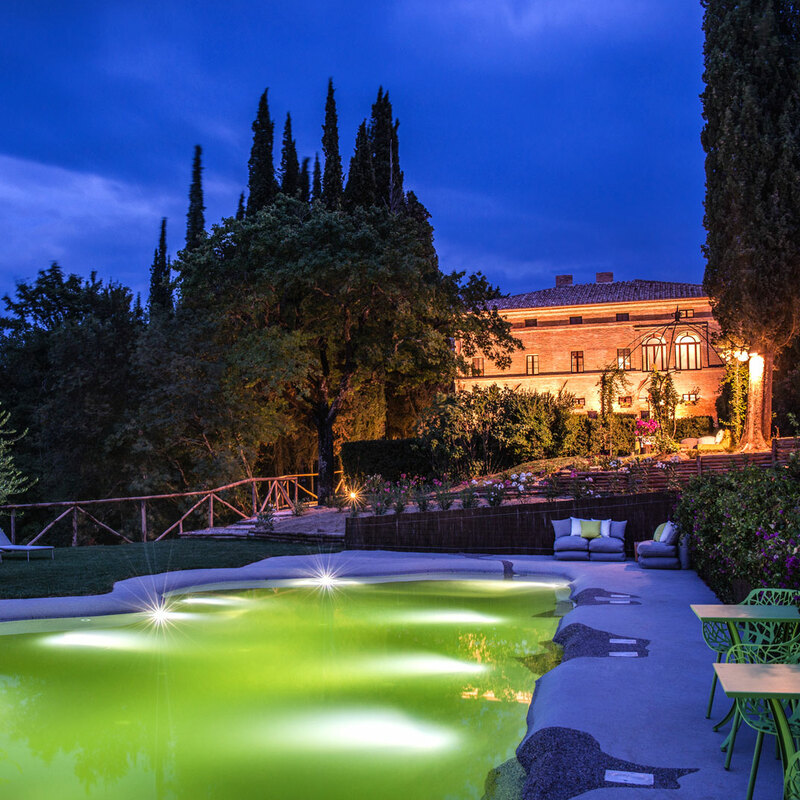 It’s a late-Renaissance villa, established by a Sienese nobleman in the sixteenth century, and as for the estate, it’s pure classic Tuscany, cypress trees, olive groves and all. Though it lay abandoned for some time, its current owners undertook a painstaking restoration, and in its current from Villa Armena looks like it hasn’t aged a day — though the architecture and interiors are steeped in Renaissance history, it’s a living space, not a museum. To that end, it incorporates some decidedly modern interventions. Bathrooms, for one thing, have come a long way in the last few centuries, and grafted onto these classic rooms and suites are some stunning modern baths: they’re clad in rough stone, below timbered ceilings, but outfitted with fixtures that’d look at home in any Milanese design boutique. A certain mixture of new and old is found in the kitchen as well, where they’ve happily hitched their wagon to the Slow Food movement and to “Kilometre 0” sourcing — it’s easier to eat well and eat local in Tuscany, of course, than just about anywhere else. Villa Armena is located 62 miles from Firenze-Peretola Airport (FLR), and 2 miles from the Buonconvento train station.